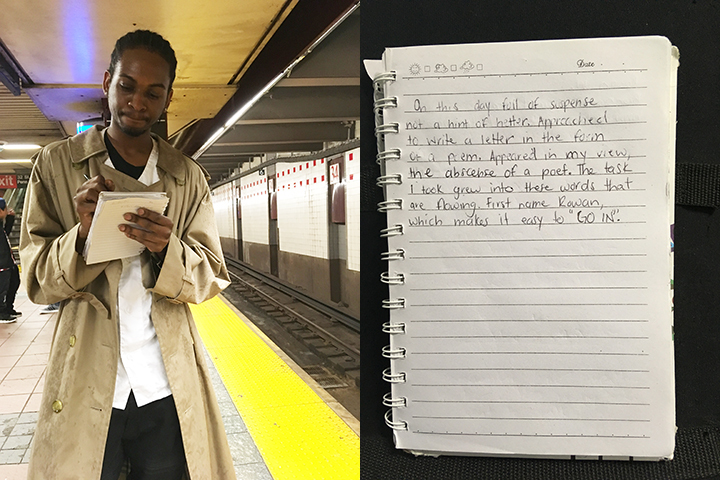 Stranger on the Train; Rebecca L. A Girl Got a Present, Isabel J.
I saw his trench coat first, then his sneakers, then his face: creative, stylish, thoughtful. He jumped right in. He writes music and produces. Have a listen here. Read a poem by Rebecca L.